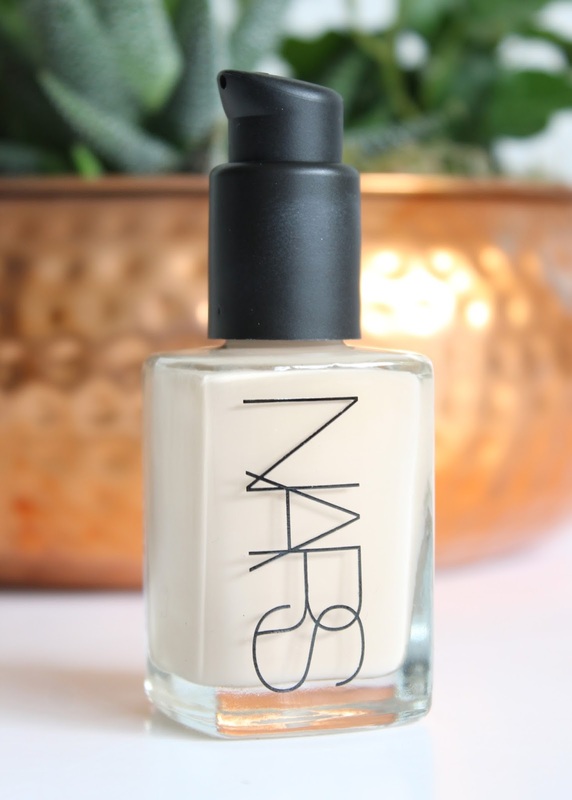 In recent weeks I've rediscovered an old beauty favourite; NARS Sheer Glow Foundation. I'm surprised it's taken me so long to reintroduce the luxury offering from NARS back into my foundation line-up. I loved my first and second bottle of NARS Sheer Glow, but my beauty blogging ventures moved me onto other bases. However, in my opinion foundation needs to be the hardest working product in my makeup bag and NARS Sheer Glow gives coverage without caking, instantly evens my skintone and grants a gorgeous glow. Despite its name, NARS Sheer Glow £31.00 is no glorified tinted moisturiser. The velvety matte beauty base is highly pigmented (you get more bang for your buck as a little goes a long way) offering a medium to buildable coverage. Applied to the skin it instantaneously evens out my skintone and covers almost all imperfections in just one lightweight layer. And whilst it covers, it does so without masking and suffocating my pores, revealing a more polished version of my natural self. Perfect for both day and night, dull, spotty and problem skin and with its SPF and oil free formulation, it's cult status and love amongst brides is no surprise. NARS Sheer Glow has a little slip making it easy to blend. However, I tend to find if I don't finish with a light dusting of powder, my t-zone will become a little oily throughout the day and the product will transfer. Yet having said that, with a little powder I can rely on NARS Sheer Glow when I want my makeup to stay put. Generally speaking it requires no touch-ups and stays looking fresh all day long. And my only criticism is whilst the glass bottle is a beaut, the foundation pump has to be purchased separately. All in all it's safe to say my love affair has been revived. And if you've got normal to combination skin and you're after a foundation that feels easy, leaves you fresh faced and works hard NARS Sheer Glow is worth splashing the cash on. And with an extensive shade range there's a match for everyone! Have you tried the NARS Sheer Glow Foundation?